Root Gionee M6 is now made possible All thanks to Hovatek for porting this Philz recovery for Gionee M6. This device is 5.5-inch with 1920×1080 display powered by the MT6755 (MediaTek Helio P10) SoC and runs on Android 6 Marshmallow, 1.8GHz octa-core processor alongside 4GB of RAM and 13-megapixel rear camera. 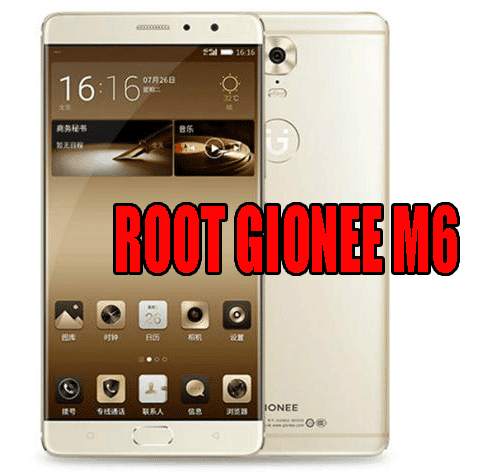 Copy the SuperSU to the root of your Gionee M6 storage. Now Connect your device to the PC via USB while switched On and boot it into Fastboot (as instructed in the Bootloader unlock guide; don’t forget to re-enable OEM unlocking and USB Debugging). Now In the Philz recovery Mode use your Volume buttons to navigate to the storage you copied the SuperSU to. Wait awhile for the rooting to complete.